I was certified to teach English to adults. My post-training work experience was in tutoring elementary and high school students in English. 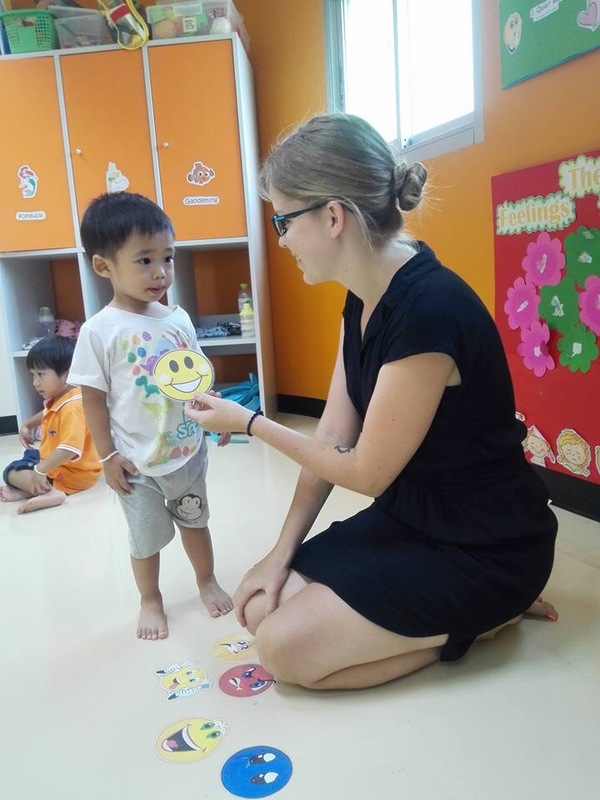 And now my job is teaching babies who don’t really speak Thai yet let alone English. Which I am hugely ill-prepared for… And yet I still think it’s great. 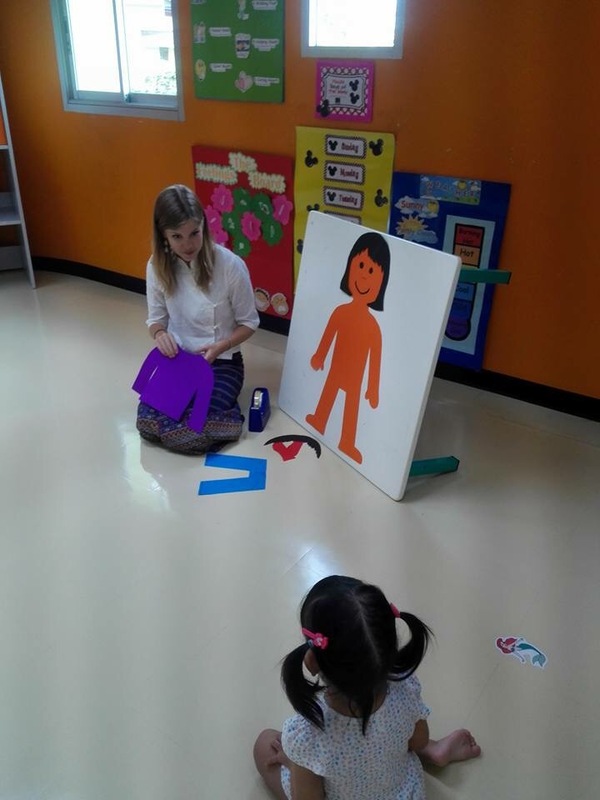 There will be a steep learning curve as I adjust to preparing lessons for little kids, but after the initial period of transition I think it will be great. I really like the school and the kids are adorable. Once I find my footing I think I’ll make an excellent teacher to the tiny people. I also found out that my school has a music room, which means after months of a piano-less life I will finally be able to play again. Now I just have to convince them to buy a school cello and I’ll be happy here forever! Next > Check your hands! and your feet. and your mouth. Love your outfit. Toddlers enjoy music, and since you have a musical background, you might want to incorporate music (and maybe dance, too. I can see it now — Riverdance Thai). Check out YouTube. Also, YouTube has some great videos and graphics with songs for little people, so if you have a computer in your classroom or have a personal tablet, they’d probably like singing along to the videos. 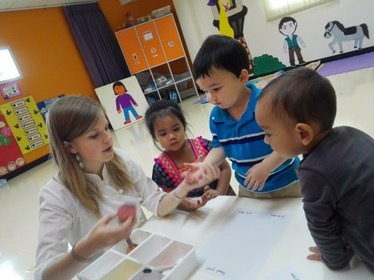 One of my best teaching experiences was teaching four year olds. I had two who were fantastic. Even now I tear up when I think about it–and they are now probably 25 years old.